Here is my Story. 1995. I thought I was feeding my dogs the best food. It was well known, the most expensive, and heavily advertised. One day I read an article in Dog World Magazine titled Eat right or die young. 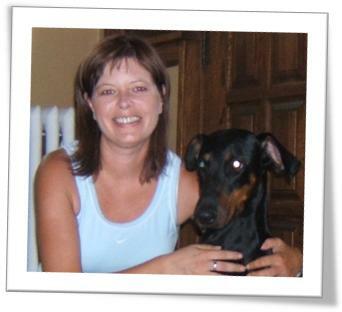 I was appalled at what I learned about the pet food industry and what I found I was feeding my dogs. After apologizing to my dogs for what I had been forcing them to eat all those years, with excitement I purchased my first bag of Solid Gold, prepared them each a bowl for dinner and put it down. Both of my dogs were thrilled and ate enthusiastically, even my oldest who never looked forward to mealtime. After dinner I watched two dogs who immediately showed new attitudes, had a “pep” in their step and a new sense of well being. 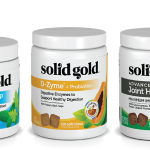 Over the past eighteen years I have seen Solid Gold Pet Food change the health and lives of thousands of dogs and cats; eliminating allergies, digestion problems, weakened immune systems, skin and coat issues, obesity, chronic pain and virtually all other health problems. That may seem like a strong statement but that is the power of proper nutrition and ingredient choices. Don’t pass up the opportunity to impact the health of your pet. 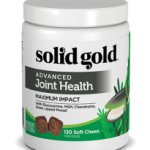 Go to a Northland Retailer today, pick up a bag of Solid Gold food and Seameal for your dog or cat, and begin to introduce it by mixing it with your current food. My biggest hope is that you will be empowered through the discovery of proper food and will no longer question whether you are promoting health or disease with your food choices for your pets (or yourself).